Hadoop is an open-source framework which provides storage and big data processing in a distributed environment in various clusters of computers with simple programming models. It offers local computation and storage from single servers. 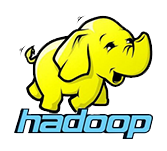 This tutorial provides basic understanding about Big Data, MapReduce algorithm, and Hadoop Distributed File System. This tutorial is prepared for the professionals who wish to learn the basics of Big Data Analytics using Hadoop Framework and become a Hadoop Developer. It is useful for Software Professionals, Analytics Professionals, and ETL developers. To learn this tutorial one must have prior knowledge of Core Java, database concepts, and any of the Linux operating system flavors.